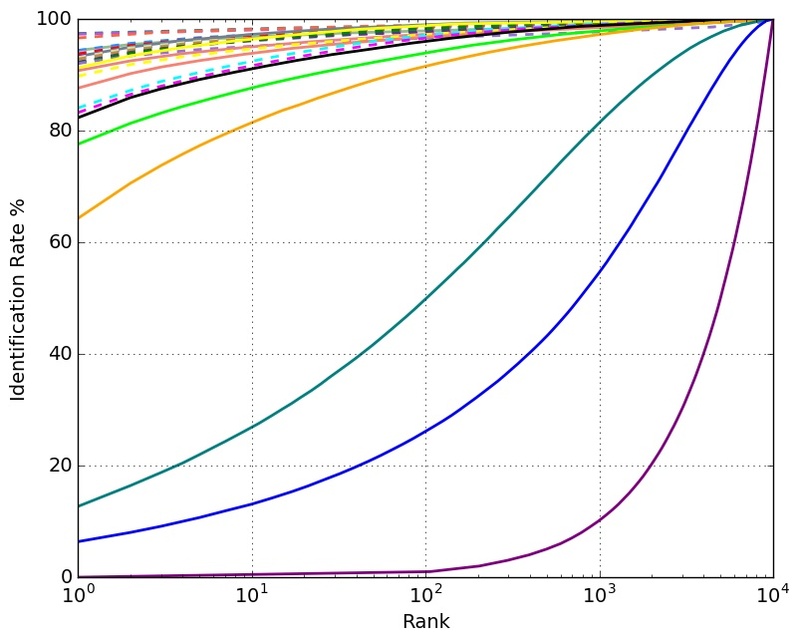 We have trained three deep networks (ResNet-101, ResNet-152, ResNet-200) with joint softmax and triplet loss on MS-Celeb-1M (95K identities, 5.1M images), and the triplet part is trained by batch online hard negative mining with subspace learning. The features of all networks are concatenated to produce the final feature, whose dimension is set to be 256x3. For data processing, we use original large images and follow our own system by detection and alignment. 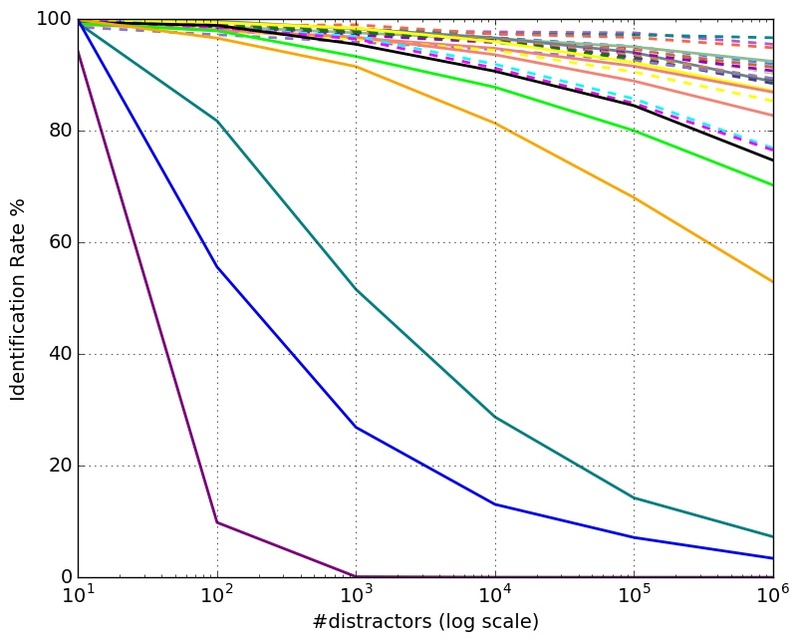 Particularly, in evaluation, we have cleaned the FaceScrub and MegaFace with the code released by iBUG_DeepInsight. Compared to our another submission named “Orion Star Technology (clean)”, the major difference is that no any data cleaning is adopted in evaluation. This is a model ensembled by three different models using ResNet CNN and improved ResNet network, learned by a combined loss. 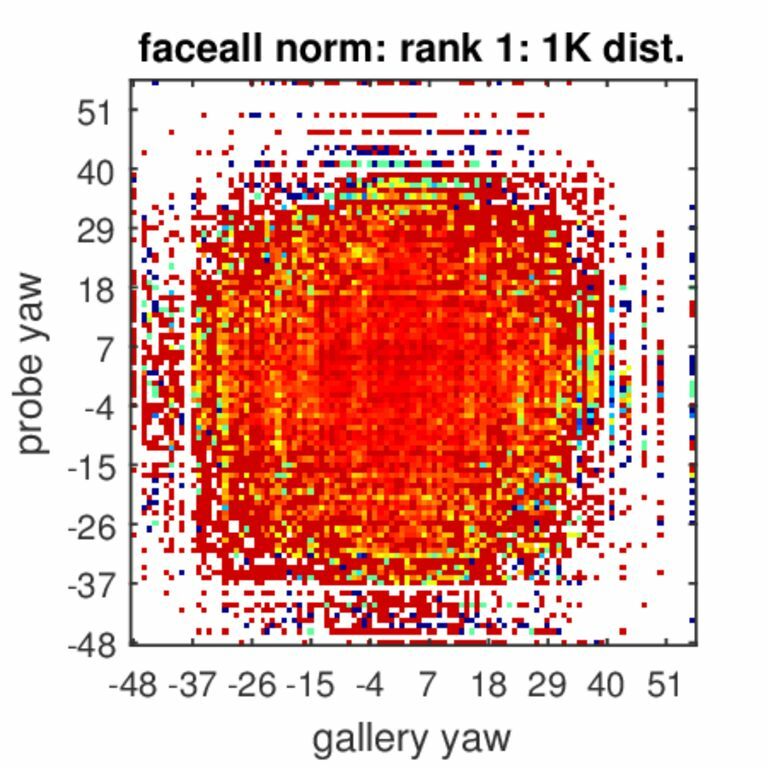 A filtered MS-Celeb-1M and CASIA-Webface is used as the dataset. Adopt the ensemble of very deep CNNs, learned by joint supervision (softmax loss, improved center loss, etc). Training data is a combination of public datasets (CAISA, VGG, CACD2000, etc) and private datasets. The total number of images is more than 2 million. 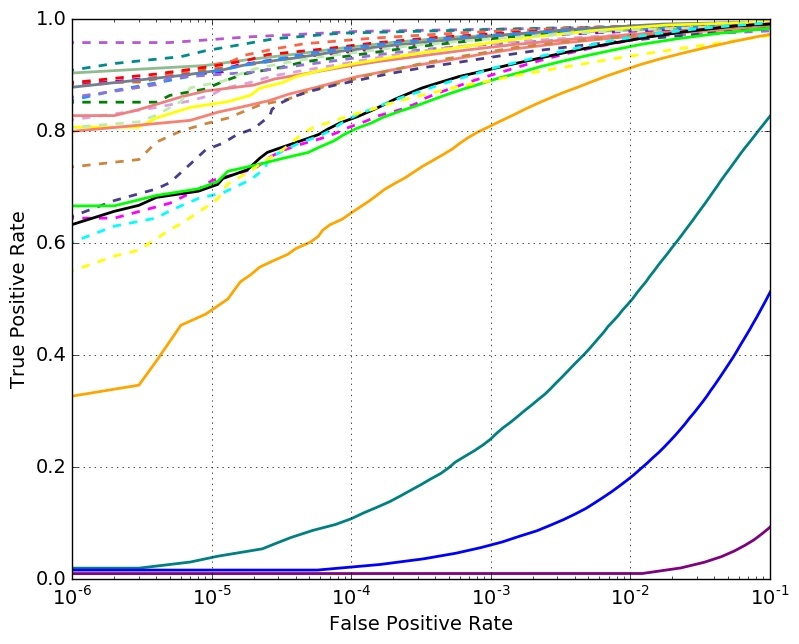 Adopt a network of very deep ResNet CNNs, learned by combined supervision(identification loss(softmax loss), verification loss, triplet loss). 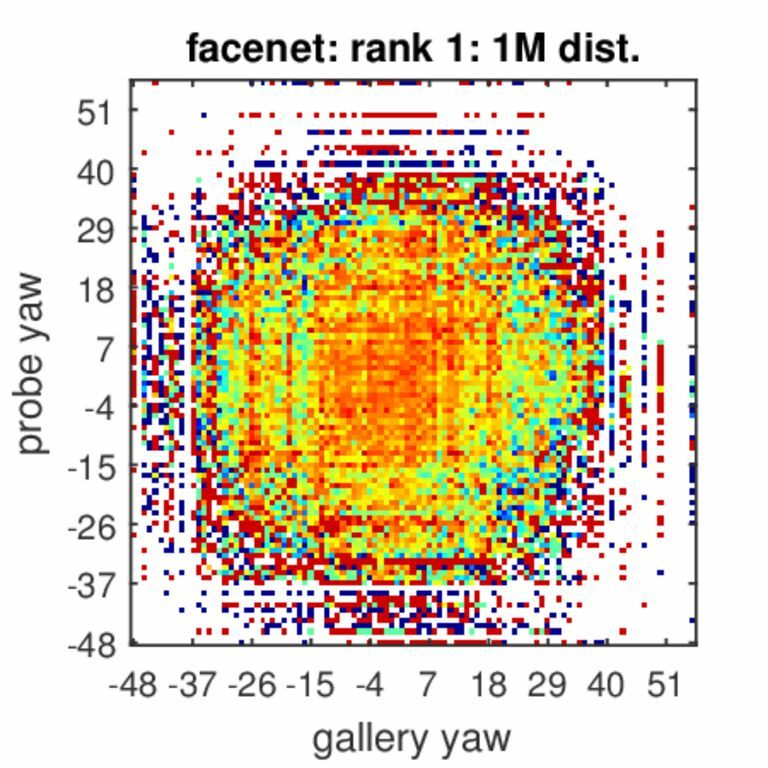 The algorithm consists of three parts: FCN - based fast face detection algorithm, pre-training ResNet CNN on classification task, weight tuning. Training set contains 273000 photos. Hardware: 8 x Tesla k80. SphereFace uses a novel approach to learn face features that are discriminative on a hypersphere manifold. 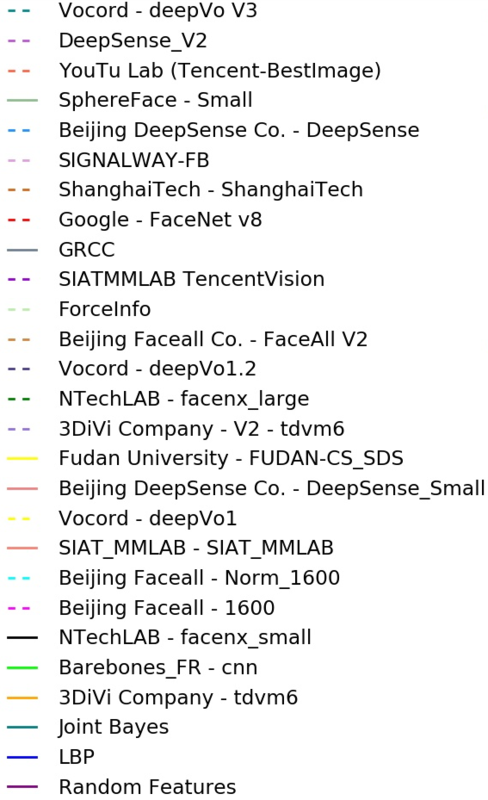 The training data set we use in SphereFace is the publicly available CASIA-WebFace dataset which contains 490k images of nearly 10,500 individuals. Compares to our submissions named “BingMMLab V1(cleaned data)”, the only difference is that no data cleaning is adopted in this evaluation. 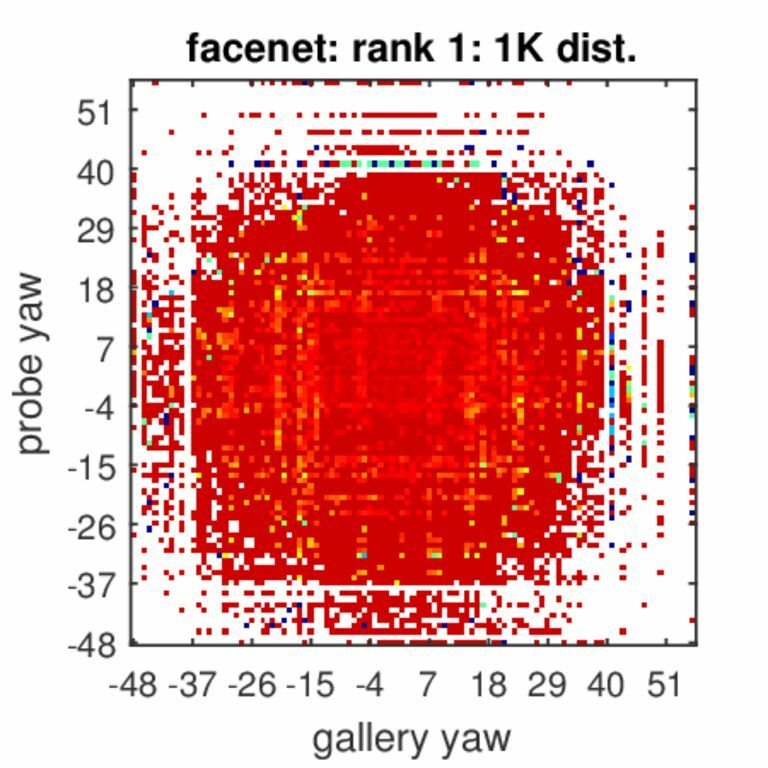 We used knowledge graph to collect identities and then crawled Bing search engine to get high quality images, we filtered noises in 14M training data by clustering with weak face models, and then trained a DensetNet-69 (k=48) network with A-Softmax loss variants. In evaluation, we used the cleaned test set released by iBUG_DeepInsight. 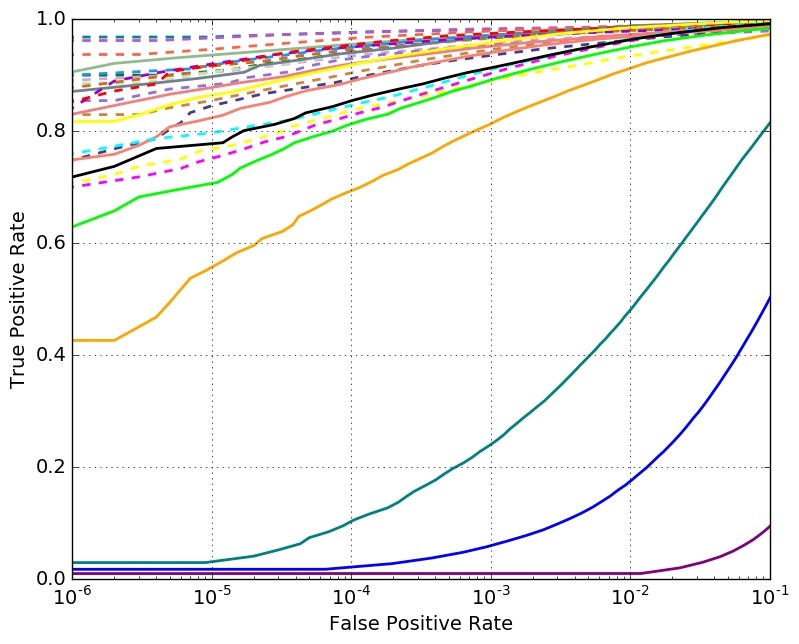 We have trained our model on ResNet-152 with Additive Angular Margin Loss on combined dataset with MS-Celeb-1M and VggFace2, and cleaned the FaceScrub and MegaFace with the lists released by iBUG_DeepInsight. 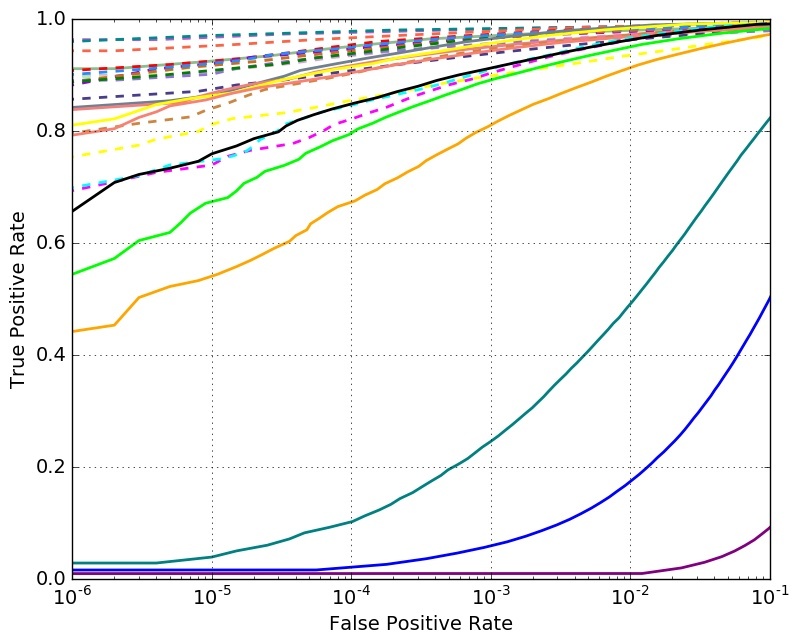 We have trained ResNet models with a combined loss on MS-Celeb-1M. In evaluation, we have cleaned the FaceScrub and MegaFace with the code released by iBUG_DeepInsight. Compares to our submissions named “TUPUTECH v1 (clean)”, the only difference is data cleaning by TUPU is adopted in evaluation. trained network with arcface loss. tried some different methods in preprocessing data.In evaluation, used the cleaned test set released by iBUG_DeepInsight. using insightface with loss modification. We collected and filtered millions pictures from sogou pic search engine, and also used pictures date cleaned by DeepInsight. We trained multi model by different loss functions such as combined margin loss, margin loss with focal loss and so on. In some models we divided faces into different patches so we can get features represent local feature such as mouth and even teeth. We merge the features get from different models together as the final result. 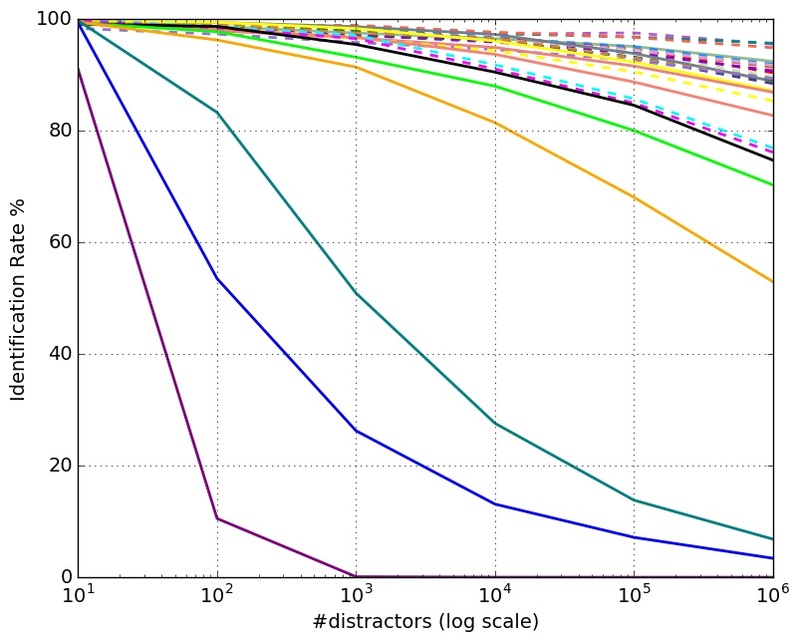 We trained the deep residual attention network(attention-56) with A-softmax to learn the face feature. The training dataset is constructed by the novel dataset building techinique, which is critical for us to improve the performance of the model. The results are the cleaned test set performance released by iBUG_DeepInsight. 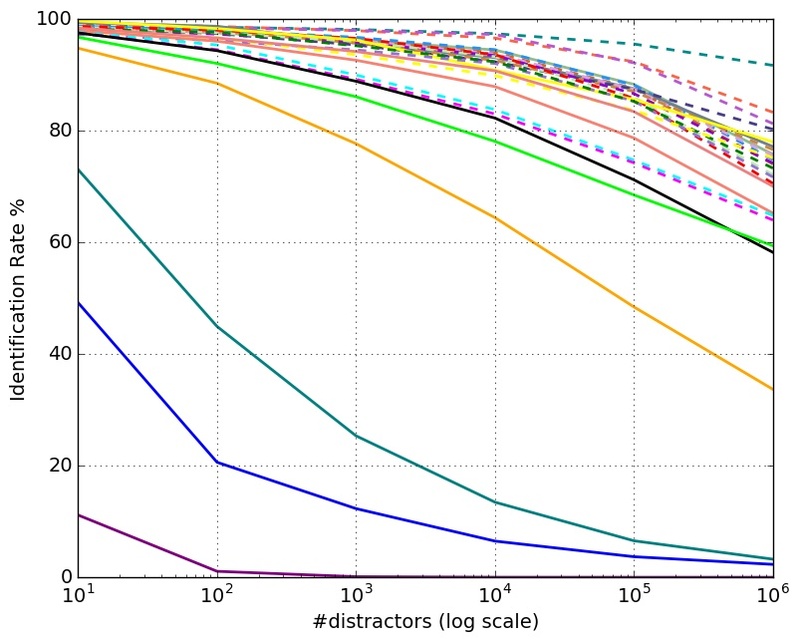 Wang F, Jiang M, Qian C, et al. Residual attention network for image classification[J]. arXiv preprint arXiv:1704.06904, 2017. Deng J, Guo J, Zafeiriou S. ArcFace: Additive Angular Margin Loss for Deep Face Recognition[J]. arXiv preprint arXiv:1801.07698, 2018. Liu W, Wen Y, Yu Z, et al. Sphereface: Deep hypersphere embedding for face recognition[C]//The IEEE Conference on Computer Vision and Pattern Recognition (CVPR). 2017, 1. A single deep Resnet model (the 'r100' configuration from insightface) trained with our own angular margin loss (an improved variant of A-Softmax, not published yet). The training set consists of nearly 6.2M images (about 96K identities). For MegaFace evaluation, we adopted the clean list released by iBUG_DeepInsight. This feature model is an ensemble of 3 deep Resnet models (the 'r100' and 'r152' configuration from insightface ) trained with our own angular margin loss (an improved variant of A-Softmax , not published yet). The training set consists of 7 Million images (about 188K identities). For evaluation, we adopted the clean list released by iBUG_DeepInsight . 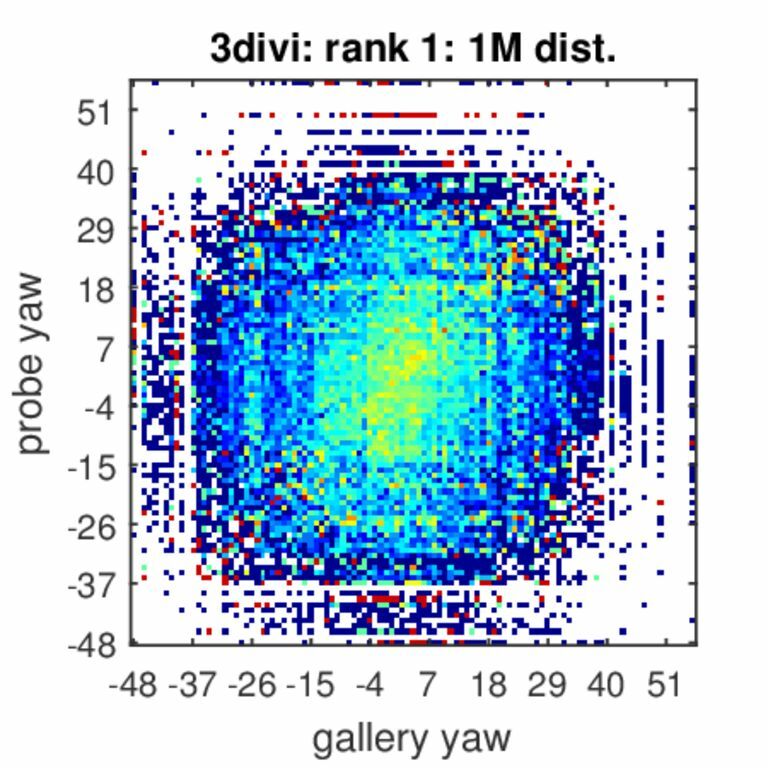 A single model (improved Resnet-152) is trained by the supervision of combined loss functions (A-Softmax loss, center loss, triplet loss et al) on MS-Celeb-1M (84 k identities, 5.2 M images). In evaluation, we use the cleaned FaceScrub and MegaFace released by iBUG_DeepInsight. We have trained on the Faceall-msra celebrities dataset with over 4.4 million photos. 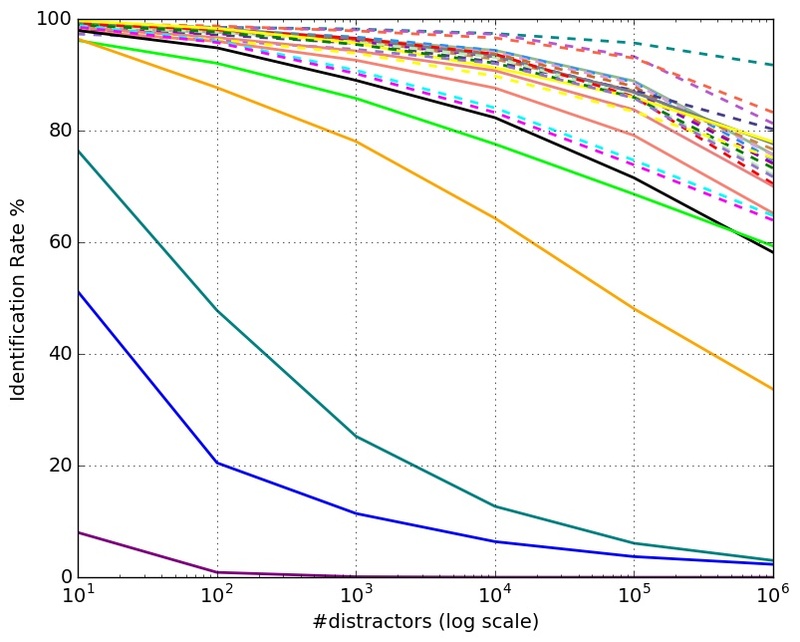 We use 6 models to ensemble the training result and use cosine distance as the distance metrics. As for loss function, we adopt A-softmax and Additive Angular margin loss during training. We evaluate our result on the iBUG-cleaned version of megaface and facescrub list. We build a training database of 120,000 identities and 12 million images with combination of public and private databases. We remove the overlap with Facescrub and Fgnet database from our training set. 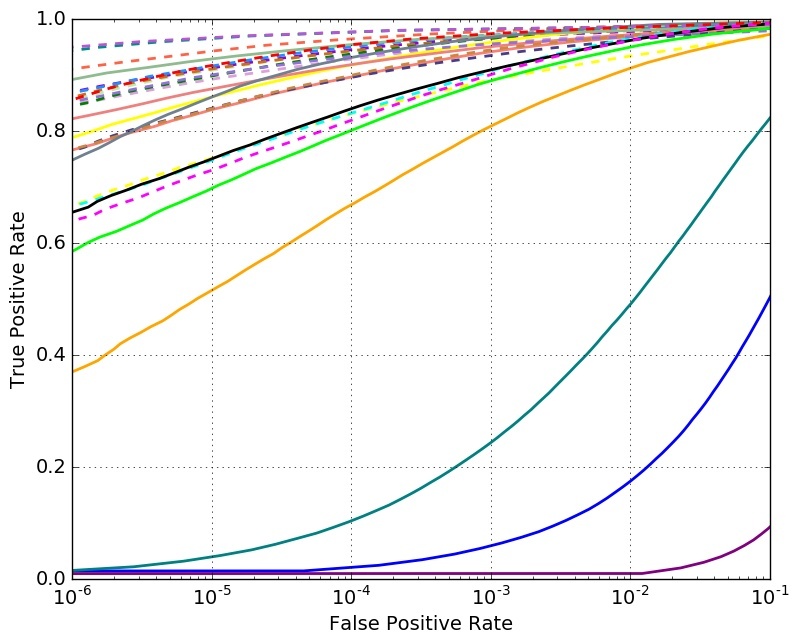 Three deep residual networks are trained (one resnet-150 like and two resnet-100 like) on 112x96 input image with multiple large margin loss functions. 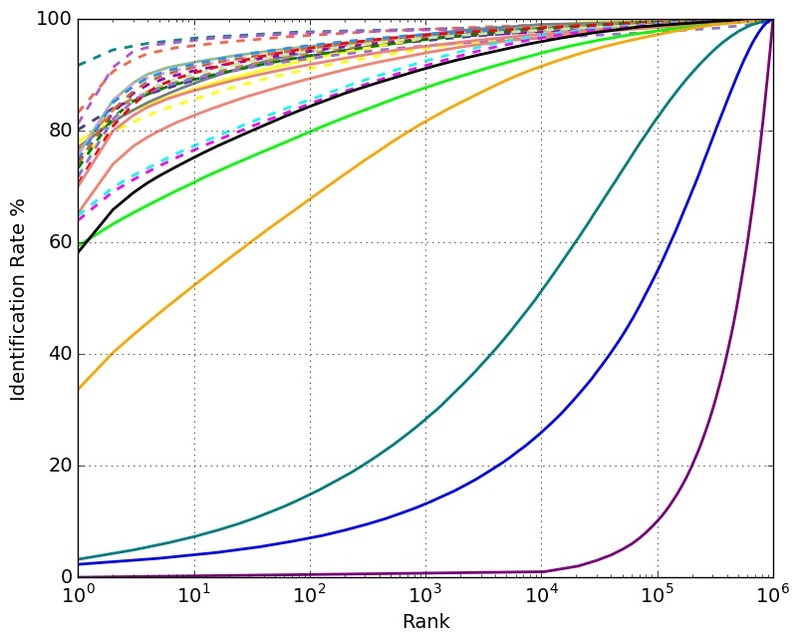 Each network is further finetuned using triplet loss. Output feature of three networks is concatenated and trained with metric learning for dimension reduction to a vector of size 512. 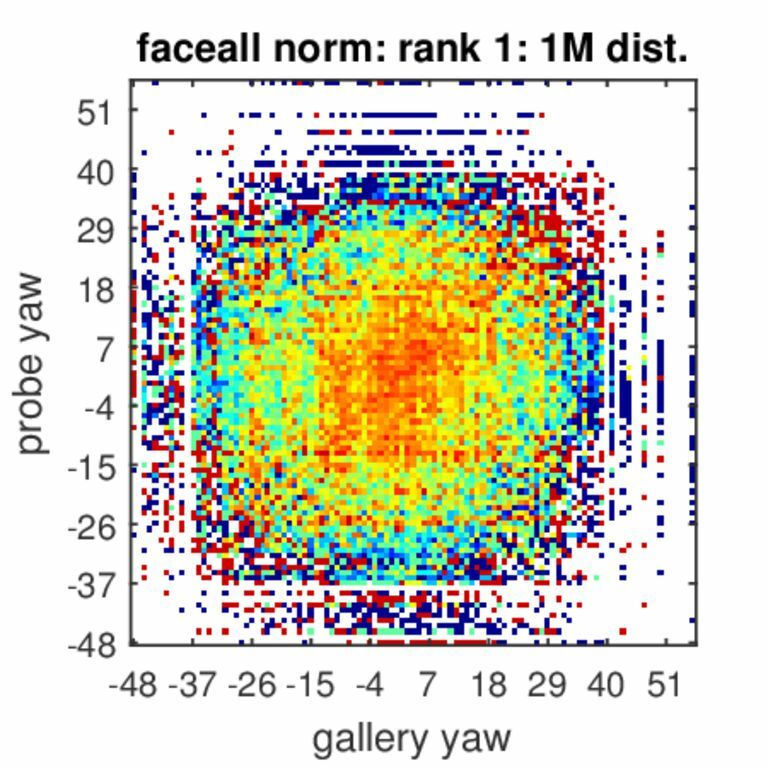 An improved loss of sphereface with a large-scale training dataset. Deng J, Guo J, Zafeiriou S. ArcFace: Additive Angular Margin Loss for Deep Face Recognition[J]. 2018. 1.we changed the face alignment method. We collected and filtered millions pictures from sogou pic search engine and mining one hundred thousand hard negative sample, all data are cleaned by DeepInsight. We trained multi model by different loss functions such as combined margin loss, margin loss with focal loss and so on. In some models we divided faces into different patches so we can get features represent local feature, especially the tooth similarity model. We merge the features get from different models together as the final result. 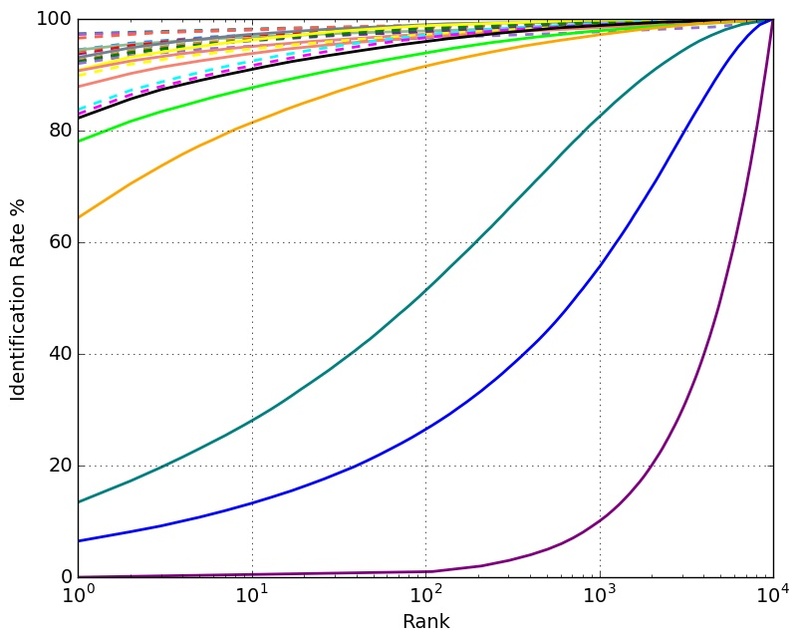 We have trained our model based on a deep convolutional neural network(ResNet101) with Additive Margin Softmax.We have semi-automatically cleaned the training dataset MSCeleb-1M.Particularly,in evaluation,we cleaned the FaceScrub and MegaFace with the lists released by iBUG_DeepInsight. 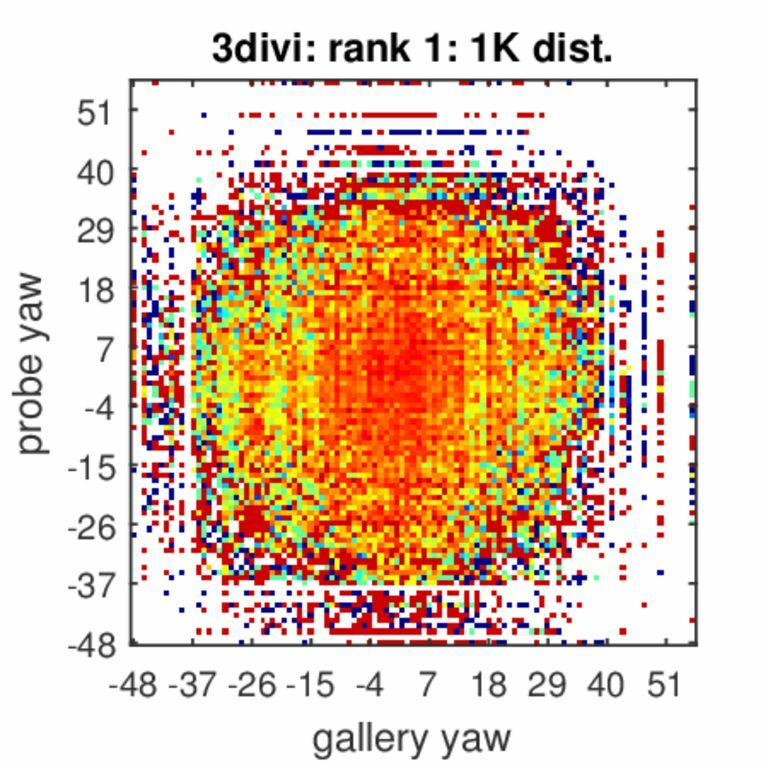 The colors represent identification accuracy going from 0(=blue)–none of the true pairs were matched to 1(=red)–all possible combinations of probe and gallery were matched per probe and gallery ages. White color indicates combinations of poses that did not exist in our test set.